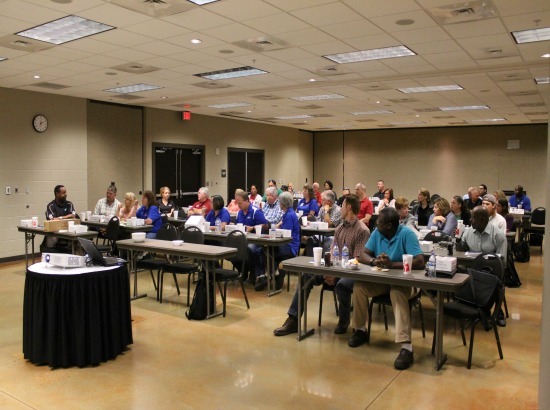 Amerex Hosts NAVPPC Meeting | McWane, Inc.
Amerex was proud to host the quarterly meeting of the North Alabama Voluntary Protection Program Committee at the Trussville Civic Center. Over 50 industry representatives from companies in central and northern Alabama participated in the event. Included were speakers presenting on topics such as incident investigation, an update on the OSHA’s focus areas, and an overview of “The McWane Story”. Following the morning meeting and lunch, attendees toured the facility at Amerex where a mock VPP audit was conducted. Amerex is taking the steps necessary to pursue VPP certification. Many of the attendee/auditors commented on how well Amerex was prepared and that they believed the facility would be able to achieve VPP in the near future. Keep up the great work, Amerex! Your hard work will soon pay off! Posted on August 13, 2014, in Events and tagged Amerex, McWane, NAVPPC, North Alabama Voluntary Protection Program Committee, OSHA, Trussville Civic Center, VPP. Bookmark the permalink. Comments Off on Amerex Hosts NAVPPC Meeting.